via Top Tips For Choosing Bridesmaid Dresses. I love “junktiquing” and one of my favorite areas to shop is in Clinton, Iowa. It’s a quaint town mixed with yesteryear architectural charm. Last Spring I discovered a new shop named Deja Vu. It’s some consignment furniture, mixed with vintage and antique collectibles. The shop is clean and well organized. One of the things I love most about this shop is that each item has a price tag with three dated prices. So if something doesn’t sell in October, it has a marked down price for November and a December price. If the item is still there or if you can wait. Not me though. Inventory moves pretty fast so there is always something new to discover and love. On my first trip here I found so many goodies- I was in HEAVEN! As you travel through the shop you find something very unexpected in the back room. It’s called “The Dressing Room” at Deja Vu. 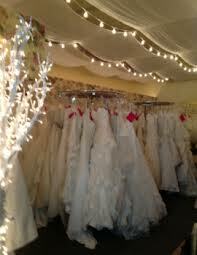 And on the racks are beautiful wedding gowns, bridesmaid dresses and dresses for Mom. Some shoes and accessories too. They are resale and in perfect condition and fantastically priced!! Only about 2 1/2 hours from the Chicago suburbs and so worth the trip. If you like the idea of saving tons of money on your gown, don’t mind going green and reusing and reducing this could be the place. The Dressing Room offers a very large suite for trying on your gowns and comfortable antique seating for your entourage. The Dressing Room is located at 101 5th Ave. S, Clinton, IA 52732. The number is 563.242.3356 and hours are basically 10am to 5pm and closed on Sunday. Make a day of it and doing some antique shopping, enjoy lunch and or go to the Rose Casino even. So you are engaged to your one and only, your very best friend, your soul mate. This is a very exciting time for you both. Planning your wedding day should be nothing but joyous and stress-free. But now reality sets in once you start to think about all the details, the choices, the cost and you find yourself becoming overwhelmed, frustrated, and of course stressed-out. Let me assure you that these feelings are perfectly normal and most couples will feel the same as you do from time to time. This blog is to help by giving you a few guidelines to help keep your stress level at par. First off, wedding planning is not an easy task. It’s not like you plan a wedding every day. Take one detail at a time, one task at a time, one day at a time. This is all brand new to you, so be patient with yourself. 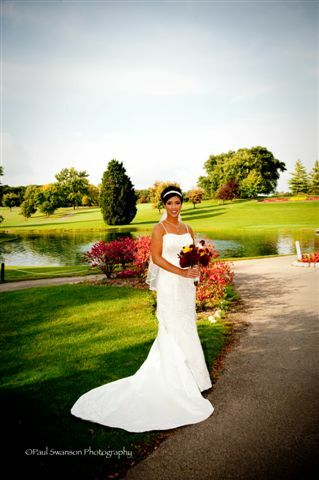 Hiring all the right wedding professionals for your special day is crucial. How do you know who to trust? How do you find the right fit for you? Where do you go for advice? Below are a few tips, guidelines and next steps after becoming engaged and de-stressing your wedding planning. Homework- Spend time online and talk to friends who have been through the wedding experience. Find out pricing; prepare a preliminary budget, and get ideas for what you want. If you don’t know what you want make a list of what you know you don’t want. Do a little background homework on vendors you’re interested in so when you meet with your vendors you’ll be able to ask better questions and have an idea of what to look out for. Interviews- Always meet one-on-one to interview a potential vendor. This is the best way to experience their personalities, professionalism, and style. You definitely want to like and feel comfortable with the person who will be helping you plan the most important details for your day with. Questions- While meeting with your vendors are you getting clear, specific answers to your questions? Get clarity when needed. Keep asking questions until you completely understand. If a vendor is not forthcoming with their answers-move on. The best and caring wedding professionals are patient, understanding and take the time to help you make the best choices for your special day. Listen- Really listen-don’t be thinking of your next questions. Is your vendor confident and comfortable with their responses? Do they look or sound nervous? Do things just not feel right? Take into account all the sights, sounds and feelings along with the vendors responses. References- Ask for references. Call both past clients and professional references. Ask around and search the internet for reviews. Check the Better Business Bureau, Google the business name/complaints. Consider all the information into your choices. Ceremony & Reception Venue- One of the first steps will be booking your ceremony and reception venues. Many reception venues now offer on site ceremony areas which can save you and your guests both time and money. But first you both will need to think about your personalities and interests. This will help you determine the type of venue to seek. Are you more a naturalist or outdoorsy type? Or are you more formal and proper? Perhaps just fun-loving or frilly. These questions will help you decide where you will have your ceremony and reception and what kind of budget you will be looking at to spend. One of the first steps will be to determine if you can have a large wedding or something more intimate. The majority of your budget will go to food and beverage for your guests. Guest list- The larger your guest list is the more expensive your wedding will be. You already know how many people the reception venue can accommodate so you can start with that number. You and your fiancé will need to decide how many people you can invite from each side and how many your parents can invite to equal your total amount of guests you want at your wedding. When deciding who should be on the guest list, ask how much time you have spent with that person in the last 5 years. If it’s family, think about just how close you are with them. If they are distant relatives perhaps just sending an announcement is a nice touch but not inviting them to the actual wedding. Try to keep children to a minimum. This will allow more of the people you are closest to attend. 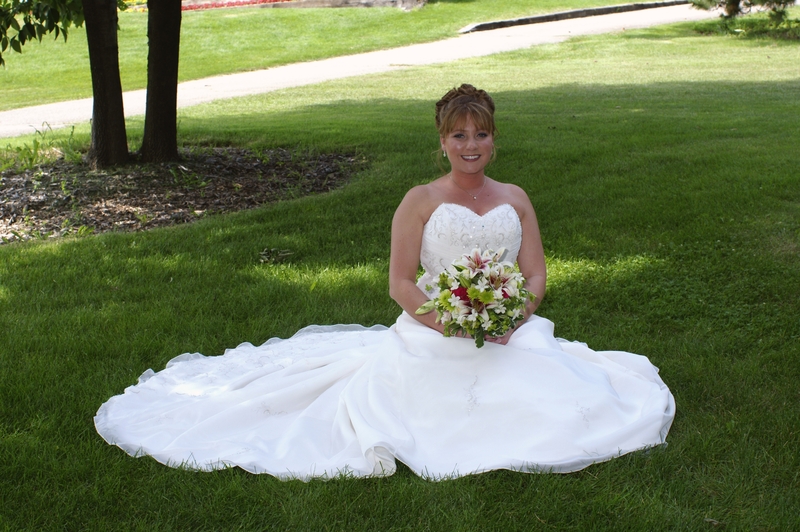 Photographers- Professional wedding photographers are very important to your day. And I can’t stress a professional wedding photographer more. You wouldn’t trust your neighbor to bake your wedding cake nor should you be relying on a friend to take photographs of such an important day. They are the one person or persons who will help you capture all the special moments. Research your local photographers, interview them and look at their personal work and see if that is the style you are looking for. Keep a journal of must have photos that you want shot to share with them at your final meeting. Look at friend’s and family’s albums to see what you like and don’t like. How was their experience with the photography? Were the results what they expected? Were the pictures timely? Were there hidden charges at the end? Videographers- Not all couples hire a videographer, but they are another important vendor capturing live many moments you may miss otherwise. I for one was very happy I added this last minute. If it not in your budget, I recommend you ask a few friends or family to take 20-30 minutes of footage during the ceremony and some during parts of the reception. Then take the raw footage and have it edited together by a professional for a final movie you can watch on your anniversary year after year. Entertainment- This is probably the most important vendor you will hire. You want your guests to have fun! A very good band or DJ will get your guests on the dance floor and interact appropriately with them as well. It is most important for them to be a wedding professional for they not only create the music entertainment they play the role of master of ceremonies. They will also need to be the director for the evening as in a play, helping everyone with their roles. From introductions, announcing toasts, garter/bouquet, cake ceremony-it’s all in their hands. Hiring a live band can be costly, but if that is your priority it will be totally worth it. DJ’s are more budget friendly than bands and have all the latest songs played by original artists. Bands will play a lot of current stuff, but may not have the variety you’re looking for. Researching them and listening to them live will give you a good sense if they are the right fit your business. Ask those you are interviewing for a video of them doing their job, see how they interact with the guests. Florist- Flowers are essential in some way at all weddings. Even if you’re not a flower person, adding the smallest addition of flowers here and there will suffice. Are they necessary? There are so many alternatives today. Silks, candles, brooch bouquets, lanterns etc. A good florist will know what to recommend after listening to your visions. They will know how much or how little flowers will be needed, what will be in season, and what will be in your budget. Some venues even include centerpieces for you in their packages; saving you a ton of money or affording you to splurge on your bouquets or ceremony arrangements. Two things to be watchful of is flowers that bleed or flower with very strong scents. Cake-Many couples are forgoing the traditional cake and opting for cupcake or donut stations, sundae bars, sweet tables, candy favor stations, or chocolate fountains. These are all yummy alternatives; however couples still typically have a small cake for the traditional cake cutting. Whether your venue includes a cake or whether you will order from a bakery having samples of your likes and dislikes will come in handy when you design your wedding cake. Transportation- Limo, bus, carriage, trolley, antique or classic cars, rental, hotel shuttle, your own vehicle. The best choice is not to drink and drive after the reception so if your reception is at a hotel it’s not a problem. Some hotels will provide shuttle service from your venues. Limo services are typically 3 to 5 hours excluding post reception, so it will be important to have a stand-by without incurring overtime charges with a limo service. Trolleys or bus rental with flexible timing can also be a great alternative for they can host the whole bridal party for photo shots before and after reception. Spend one weekend a month on planning, interviewing, visiting vendors, shopping, creating etc. Spend only one night a week as a couple talking about your weekend vendor visits, making your decisions, etc. The rest of the time try very hard not to talk about “the wedding”. Work on your relationship, have other interests besides the wedding at this time. It can become all consuming for some couples (mostly the bride) and then you’ll just drive each other nutty. The wedding is one day-the marriage is for the rest of your life. Oh the wedding gown! Just wearing this one dress has been in the dreams of little girls throughout the ages, and since it is often times the focal point of the wedding day, choosing the right one for you is essential. All the little details that go into choosing and fitting the perfect dress should not be glossed over which is why Bartlett Hills Country Club and Banquets offers some tips and suggestions for your dress shopping desires. If you are in the search for that perfect bridal gown, keep in mind that it can range from less than $400 to over $3000. Be prepared however to pay additional alteration expenses. Making the dress fit your personal style may very well require such alterations and generally average about $100 to $250 per modification. Adding additional accessories such as appliqués, beadwork, headpieces or having a detachable train bustle are also considered custom alterations and are priced accordingly. To give you an idea what other brides like you are spending on their wedding gowns, the National and Chicagoland average shows brides spending about $850… So keep your budgeting in mind and we hope to see you wearing your beautiful wedding dress here at Bartlett Hills. Having the perfect gown for those all important wedding day pictures requires making the best decisions when picking your wedding day dress. Make sure you shop smart! We suggest you bring your mother or maybe a trusted friend when dress shopping because you will need someone whose opinion you value and who knows what tastes you like and how you’d like to look… especially on the most important day of your life. Don’t bring any small children with you! They can be very distracting and pose the possibility of damaging bridal items. You should feel comfortable and have some fun when searching for a gown and don’t need any additional interference. If you already have a specific dress in mind or have seen one you love, absolutely share your ideas with your bridal consultant. They are generally more than willing to accommodate any alterations or styles you see fit and will help you determine which necklines, bodices and silhouettes will most flatter your tastes. You may even be surprised to find the perfect gown is far from what you had originally envisioned. Deciding on your style of dress should be a first priority since it affects the formality and tone of the wedding itself. Bridesmaid’s dresses, for instance, generally compliment the style of your own gown and often times echo the waistline, neckline or silhouette. Remember to visualize your wedding party photograph with the different colors and styles and try to keep it all looking balanced and elegant. Your bridal consultant will be able to help style those dresses to your specific taste so they look absolutely memorable in your wedding pictures. It goes without saying that wedding gowns are sized differently for every bride. Therefore do be aware that when trying on dresses you may fit into a size that is different from what you usually wear. For example it’s not uncommon to be one size in the bust and another size in the waist. Most professional bridal consultants and seamstresses will do a wonderful job making those exact measurements to best fit your body size and attributes; however the final decision is always yours so don’t feel shy about voicing your opinion to something you don’t like. Please do keep in mind that any additional alterations that are done by the seamstress will cost accordingly so be sure to request an estimate at the fitting about any additions that might be made. Most fittings are done by appointment only. Most manufacturers generally require five to eight months to complete an order, generally seeing bridal gowns taking the full 20 to 32 weeks and the bridesmaids taking about 12 to 16 weeks. 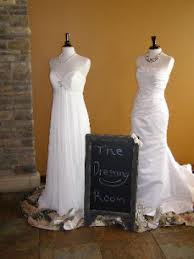 Most brides order their bridal gown six months to one year in advance of their wedding date so be sure to shop early! Also, extra time should always be allowed for the seamstress to solve any problems you might find with the dress. Rush orders should also be available if you immediately need your dress for a fast arriving wedding date, however this generally costs an additional fee plus expedited shipping charges. We hope these tips will help you in your search for the most perfect wedding dress!